When you are talking about cricket then it is a religion in India, anything remotely related to it gains attention. The book by former Indian Captain: A century is not enough is a great insight on what the cricketing world asks from a cricketer. It is not a biography yet talks about a lot of insights and real incidences from the captain’s point of view and in a chronological order. This is the first attempt by the captain to talk about his life experiences as a cricket and through light on many instances which are often talked about. It is not easy to survive in the tough competitive cricket world and Sourav’s experience is nothing less than a roller coaster. The book talks about what it takes to perform in high pressure. How not to give up and fight back? What are the strengths and dedication required to make a name for a young star and how do you survive on a journey which is closest to your heart? A century is not enough is a book which is a tour to all the challenges one faces and overcomes to reach where Sourav reached and came out a winner against all odds. Sourav Ganguly: A century is not enough, Book review. The book is awaited as Indians have love ‘Dada’ as Sourav has been lovingly called and wish to know everything that he wants to talk about. When Sourav Ganguly was once asked whether he would write a book he said ‘no’ when further asked why he mentioned that the book will reveal a lot of things and ruffle too many feathers. Along with that, his life has been interesting with not just success and struggles but also controversies to talk about. The book is an amalgamation of various short stories which are incidents that Sourav Ganguly has discussed with the writer Gautam Bhattacharya. The interesting part of the book is Sourav’s take on his actions and what he thinks about them now? It is true that the reign where Sourav took over the team as Captain he had a vision about bring in a change in the winning records of the team overseas. Before his time the Indian team had just won twice and that changed which has continued even after him. Sourav Ganguly is nothing but honest in his replies in his book but at certain points, it feels that he is speaking at the top of his mind thoughts and various insights are being missed out. The book talks about his dislike for Greg Chappell and the incidents which are related to the test match at Eden Garden. He talks about how he kept Harbhajan in the team and the effect of the same on the team’s performance. 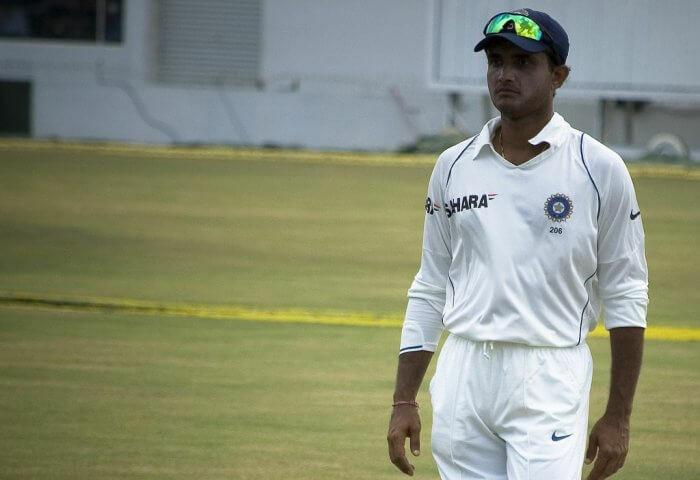 The book is still a lot less than what Ganguly is capable off and thus the readers will leave it with a question if that is all that he wished to talk about as he is not known to hold things back. The book could have included a lot more and might seem like a letdown for a few readers but for Ganguly fans, it is unabashed for sure. Amazon: You can order your favorite choice- paperback, Kindle or hardcover from the website. Expect a prompt delivery and quality product. Flipkart: If you are looking for additional discounts and combo offers then add to the list your new read. This also provides the fastest delivery to the delivery address provided. Snapdeal: Buy the book with delivery all over India with suitable payments options and easy return policies. The one thing that comes to light while being a reader of the book is that Ganguly was destined to be the leader. The book might fall a little short on telling the complete tale but it is also a series of questions answered by the players and not a biography and hence misses out on certain expectations of the reader. This book shows that Sourav is not someone who will forgive easily as he talks about his retirement as a wound that he has still not forgotten. The mention of Greg Chappell throws light on the same feeling. The book is a great read for people who wish to find some motivation as Captain talks about how he has never doubted himself and kept on his undeniable strength which kept him going and the results were spectacular each time. The Hindu mentions that the book throws light on the self-belief which the captain had in himself. The book deconstructs the days when he played and how he had a never say die spirit. There is clear mention of the initial unskillfulness to the later emergence of the leader. The readers still might feel that the tone and the voice are not completely his as the writer has overpowered some of the mentions. DNA states that the book is a peep in the complete stint of the cricketing career of the Captain and mentions that Sourav Ganguly knows when to mention and what to mention without apprehensions. The book is nothing less and talks about many moments and Sourav’s experiences. It is also a good motivation source for the readers as it talks about the undying spirit of the cricketer. A century is not enough stays true to its name as it mentions many incidents from Sourav Ganguly’s life which had made him what he is today. The book might lack his true sense as it is written by Gautam Bhattacharya. NextHow to Go About the Application and Antigua and Barbuda Citizenship Cost?